In order to be eligible for a Hall of Fame vote, a writer must be an active member of the BBWAA for 10 consecutive years. Once a writer receives a Hall of Fame vote, he is eligible to continue voting even when he is no longer an active member of the BBWAA, provided he becomes a lifetime honorary member. 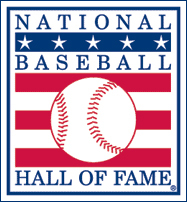 As of 2018, there were 440 BBWAA voters for the Hall of Fame. The BBWAA only selects players. Managers, executives and/or umpires are chosen by the Veterans’ Committee. Warming up before a recent start, St. Louis University pitcher Cody Luther struggled with his control.